Jethro Tull alternated between folk/folk-rock and prog rock. They generally come across to these ears as at best a second-tier offering on both fronts. For folk/folk-rock, they make me wish I was listening to The Pentangle (or Bert Jansch solo), and for prog rock I’ll take Traffic. 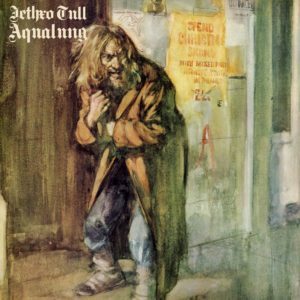 Frankly, though, Aqualung leans more heavily on the prog side of things and the heavier electric guitar proves effective. The band was known for the gimmick of having a flute, but the flute and the vocals are mostly a distraction. This is still a very adequate album. One question that jumped out when listening to this album is whether all prog rock is inherently misogynist. As a genre, it tends to appeal — in a painfully obvious way — to sexually frustrated men. It seems to lack any kind of feminine qualities. More or less an Os Mutantes album that was supposedly released under singer Rita Lee’s name when the band’s record label balked at the band releasing too much material in close succession. 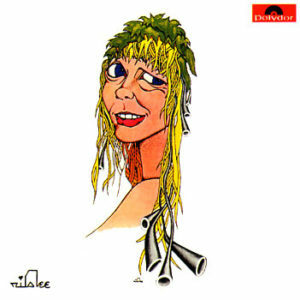 While for many the band was at its peak in the late 1960s, I find their early recordings to be too ornate, crammed full of showy and self-indulgent flights of (absurdist) fancy — they were better backing other stars of Tropicália. Going in a quite different direction, Hoje é o primeiro dia do resto da sua vida (English translation: “Today is the first day of the rest of your life”) sounds like an early 1970s Doors album that is better, and quirkier, than what the Doors could manage. Was the “Russian Hack” an Inside Job? First off, what were the band’s objectives? This question can be best explained in relation to historical context. The late 1960s were the time of the so-called “New Left”, when left-leaning politics were on the rise and, in the United States and Western Europe, were increasingly centered around students (college students mostly). The band was named The Red Crayola, then changed their name to The Red Krayola (after a largely baseless legal threat from a crayon manufacturer), but kept the word “Red” in the name all along. This was not coincidence or an arbitrary choice of color. The band named themselves in reference to the color historically associated with the political left. The band’s objective remained “musical socialism”. With the understanding that there was an explicitly leftist political slant to The Red Krayola’s music, their musical techniques can be better understood against the larger backdrop of Twentieth Century art history. Many artists in a variety of media who have sought to pursue leftist ends have adopted techniques that revolve around the use of “montage”. This includes cinematic montage, photomontage, dadism (and offshoots from surrealism to pop art to fluxus, assorted neo-dadaism and even culture jamming), literary endeavors from the Manifesto Antropófago (Cannibalist Manifesto) to “cut ups”, and more. The term “montage” has been used to describe a number of different musical practices, not all of them similar to The Red Krayola’s, and often in the context of a substantively different “collage” approach. So, here I will use my own term “Diogenic Montage,” in reference to the cynic philosopher Diogenes, whose shamelessly insolent yet witty and outspoken approach to critiquing the powerful has a close kinship with the specific style at hand. (This might equally be called “Kynicist Montage” after Peter Sloterdijk‘s term “kynicism”). Just to illustrate what the philosopher Diogenes stood for, there is a story about him being sold into slavery in Crete, and the slave auctioneer asked what Diogenes was proficient in. He replied, “In ruling men.” He then added, “Sell me to this man [Xeniades]; he needs a master.” The essence of “Diogenic Montage” is to deploy multivalent meanings in a way that is both reverent and irreverent at the same time, with an affinity for the use of “kitsch” and things considered “lowbrow” or in “bad taste” in a framework in which some thing else is either present or suggested, thereby subverting the very basis for highbrow/middlebrow/lowbrow distinctions. There is typically banal ridicule offered, and aspects of French playwright/actor Antonin Artaud‘s “Theater of Cruelty” find their way in as well, although humor appears more often than shocking “cruelty” and Bertold Brecht‘s “epic theater” might make a closer comparison in The Red Krayola’s instance at least. Diogenic Montage emphasizes symbolic and cultural content, not simply literal and explicit materials, which is why the approach is different from, say, the use of samples in hip-hop music (which could fall in the category, but doesn’t necessarily do so just by the use of samples). Put another way, this is not merely a mechanical technique of juxtaposing and pasting together different elements in any manner, but rather is about pasting together certain elements in certain ways in order to ridicule the supposed “truth” of the referenced/appropriated symbolic content and expose the egotistical self-interest and tautological claims to power behind its conventional use. This was very much the approach of the Berlin faction of the dadaists who utilized photomontage techniques “as a subversion of the myth of the photograph as truth.” This results in the reuse or re-deployment of existing constructs in a different value system, thereby demonstrating the implied symbolic meaning of the “acceptable”/mainstream/official sources. There is a naive/childish/insolent attitude of announcing publicly what is — from the viewpoint of the powerful and dominant — mutually agreed to be kept out of explicit public discourse. In this way it reveals the hidden foundations of power embedded in such practices and exposing them to discussion — and ridicule. What this accomplishes is the dissolution of the separation between levels. Rather than there being separate public and private views, they are merged and important positions necessary for functioning of the entire system cannot be hidden away from public scrutiny in a purely private arena. One of the fathers of the “New Left”, the western marxist C. Wright Mills was described as endorsing precisely the sorts of elements that ended up in this music by Michael Denning in his book The Cultural Front. Denning discussed the gradual break-up of the socialist “Cultural Front” in the mid-Twentieth Century and the eventual emergence of the “New Left” in its place, explaining how Mills advocated and endorsed a kind of synthesis of some of the otherwise antagonistic hack, commercial and avant-garde elements of the older Cultural Front in an effort to “repossess” cultural apparatuses (including media institutions). They key was to see artists as working with elements that are not entirely individualist and within their exclusive control. These sorts of concepts gained a lot of traction within the New Left movement. Mills’ comments very much look forward to the sort of music made by The Red Krayola. Another reference point would be the work of Peter L. Berger and Thomas Luckmann, who wrote The Social Construction of Reality. Berger in particular was a political conservative who spent most of the rest of his career fighting against the use of his theories by the New Left. Though much of the theory became obsolete, in a sense, when the leftist French sociologist Pierre Bourdieu rose to prominence in the 1970s and combined a similar theory that revolved around the concepts of “habitus” and different kinds of “capital” (all formulated within a framework heavily influenced by Einstein‘s theory of relativity and Maxwell‘s equations), with novel quantitative/statistical methods. For that matter, Berger and Luckmann’s sociological theory ended up being slightly redundant with the work of French psychiatrist Jacques Lacan from the 1950s. That is really quite close to the frame of mind needed to appreciate The Red Krayola’s music. There is much more than just the tiniest particle of the old in their music, but the the band certainly uses the ridiculous and the humorous to piece together something new and useful out of bits of the old. It is above all a battle for meaning. They wanted all new meaning. And they were building an aesthetic dimension out of old trashy musical elements! These points rely upon a recognition of something often lost in ordinary discourse. Some people divide statements and beliefs into a binary classification of objective and subjective, with objective things being beyond or outside that of individual people and with subjective things being entirely in the head of individuals. But this is overly simplistic. There are also social constructs, which are socially determined beyond the control of any one individual person, but nonetheless are socially arbitrary and not “objective” scientific facts — this idea has a parallel in the so-called “Veblenian dichotomy” of institutional economics. It is precisely in this realm of “social constructs” that The Red Krayola’s music directed most of its effort. “Zappa started off, and his records were handled as comedy, the labels that he dealt with. Zappa is like an analog for us in a certain sense. He also, I think, thought hippies were stupid and foolish, and kidding themselves, and congratulating themselves on how hip they were, but only by keeping their eyes closed, not noticing what anybody else was doing. At the same time, he recognizes that humor was one of his most powerful devices. But it ate at him to the point that he wanted actually to be taken seriously. So that became more important to him than anything. The band also followed a strictly collective approach. Regardless of who contributed what, every song is credited only to the entire group, collectively. Emphasis on specific individual contributions and hierarchy was discouraged. The use of folk music elements is something new for The Red Krayola. “Falls” has a banjo solo. There is a fair amount of acoustic guitar throughout the album too. 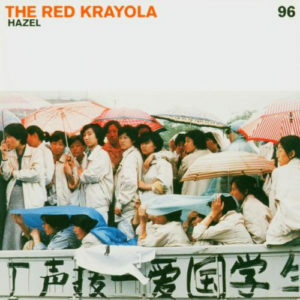 Hazel is one of The Red Krayola’s finest albums. It delivers (serious) lyrics about leftist politics with (unserious) cartoonish vocal affectations, and dissembles and adds noise to old musical elements that aren’t as politically neutral as they seem. This is above all music that gains meaning from dynamic movement. Any one element might be subject to multiple interpretations, and the movement in the context of the songs and album as a whole make clear that meaning is flexible, relative. The Red Krayola do their best to fashion a utopian leftist vision of a vaguely classless society where musicians can do whatever they want, and fashion their own meaning. The Red Krayola re-formed in the mid-1990s. Mayo Thompson was joined by a host of Chicago musicians, who were associated with groups like Gastr del Sol and Tortoise. 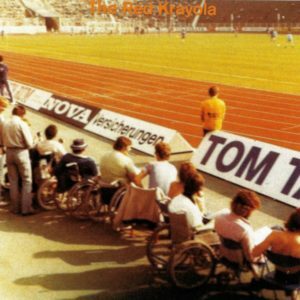 The first album by this particular version of the band, the eponymous The Red Krayola, turns out to be one of the most approachable albums of the band’s more than 50 year existence. It draws from the “post-rock” and indie/college rock trends of the day without ever really being beholden to them. The songs are short, but they are mostly real “songs” in the conventional sense — not always a given for this band. This is certainly strange, left-field rock, but it might be the most listenable album with the band’s name on it. That is due not just to the songwriting but also to the presence of overtly “rock” style drumming (by John McEntire) and plenty of guitar solos that would fit — only slightly awkwardly — on an alt/indie/grunge rock recording of the day. This still maintains the warped humor the band has long been known for. Take “I Knew It.” The lyrics consist of the statement “I knew it” repeated over and over and over and over again. The vocals seem electronically manipulated to eventually speed up and overlap — a bit like Steve Reich‘s epochal “Come Out.” It is a fantastic combination of obsessive, ominous compulsive chanting and I-told-you-so snarkiness. I was rooting for “Raspierre” — a song about Maximilien Robespierre (“The Incorruptable”), one of the Jacobin leaders of the French Revolution — which hearkens back to the prior decade’s Art & Language collaborations like Kangaroo? that used non-sequitur left-wing political sloganeering over music. But it is more in line with Red Krayola’s early 1980s material, and would have been better replaced with “T (I, II)” from the following year’s tepid EP Amor and Language. The next few songs “(“Stand-Up” and “Art-Dog”) are also among the weakest on the album. These are, however, minor points overall. If The Red Krayola resembles any of the band’s other recordings, it would have to be some of the punk/post-punk stuff from the late 1970s and early ’80s, like the EP Micro-Chips & Fish and the soundtrack single “Born in Flames.” Which is to say that this has more tangible rock drive than many of their other recordings, which are far more abstract and conceptual. Yet The Red Krayola is steeped in the sort of music that indie-rock and so-called post-rock groups were making contemporaneously. So it has its own texture and feel. This is one of my go-to Red Krayola albums, up there in the top tier somewhere. The point that Lynd makes is much the same as the difference between Lenin and Stalin‘s methods of leadership. Someone even shared a link with me to some garbage business school article that said much the same thing about humble vs. charismatic narcissist CEOs. One flaw in Lynd’s article is the statement, “There is the subtle but all-important understanding that the experience of solidarity in action, not ideology, comes first.” This is not outside ideology, but rather about putting the ideology of solidarity before some other kind of ideology. Ideology always comes first (to be fair, though, Lynd seems to rely on the old formulation of “ideology” as “false consciousness”). The other issue with the article is perhaps the historical focus. In an age of digital telecommunications and globally integrated transportation networks, and the so-called “post-industrial economy,” the ability of workers to strike by setting down their tools and have an impact on employer behavior is not what it was in the historical period Lynd describes. Strikes succeed primarily because they drive a wedge between capitalists and finance, not merely because the workers slow or stop production as such. In other words, strikes work primarily where factory owners owe debt to banks/financiers that continue to accumulate as those same machines sit idle in a strike. There is nothing wrong with Lynd’s history in this regard, but its practical relevance to the present is maybe in question. An interesting theory of about liberal technocratic banality in the judicial arena masking oppressive social policy. Occasionally, mainstream pop/rock albums succeed. 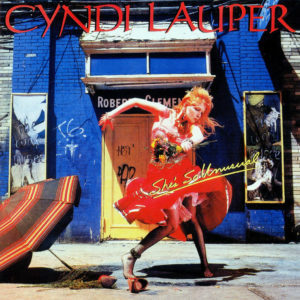 The odds are against them, but Cyndi Lauper’s She’s So Unusual beats the odds to succeed. This is really a great summary of a lot of things happening in pop and rock music at the beginning of the 1980s. There are, of course, the huge hits “Girls Just Want to Have Fun” and “Time After Time.” But most of side one of the LP is great. There is a cover of Prince‘s “When You Were Mine” that is filler. Yet if you must have filler, why not a good Prince song? The opener “Money Changes Everything” is one of the album’s best, with somewhat of a Springsteen flavor and featuring a melodica solo in the style of The The. Side two is even more eclectic. “All Through the Night” was a minor hit (also somewhat in the style of The The). It is followed by a second-wave ska number “Witness,” then a new wave rocker similar to “She Bop” from side one. There is a skit, “He’s So Unusual,” that kind of references Betty Boop. The album wraps up with “Yeah Yeah,” a zany rock song with synth horns and punchy keyboards, done in the style of Oingo Boingo and carrying over the Betty Boop vocal affectations from the skit. So, everything here has clear precedents and influences, worn on its sleeve. She’s So Unusual works partly because Lauper is actually a great singer, with a heavy New York accent but also ample range. The other secret to the album’s success is how convincingly each of the styles is reproduced. There isn’t a misstep to be found anywhere. Even decades later this album is a blast and hasn’t hardly aged. This album was a huge commercial success, as was the follow-up True Colors, though Lauper was less of a commercial force in later years. Yet she evolved. Just a few weeks after the 9/11 attacks in 2001, she appeared on a John Lennon tribute show “Come Together: A Night for John Lennon’s Words and Music” performing “Strawberry Fields Forever” in Central Park. It was probably the most impressive performance on the program, and a good example of how Lauper stayed relevant beyond being just a camp icon.